Start off your visit on the 19th (Tue): wander the streets of The Strip District. Here are some ideas for day two: steep yourself in history at Phipps Conservatory and Botanical Gardens and then examine the collection at Frick Art and Historical Center. To find maps, traveler tips, other places to visit, and tourist information, read our Pittsburgh trip planner . Youngstown to Pittsburgh is an approximately 1.5-hour car ride. In March, plan for daily highs up to 47°F, and evening lows to 30°F. Wrap up your sightseeing on the 21st (Thu) early enough to travel to Youngstown. Youngstown is a city in and the county seat of Mahoning County in the U.S. 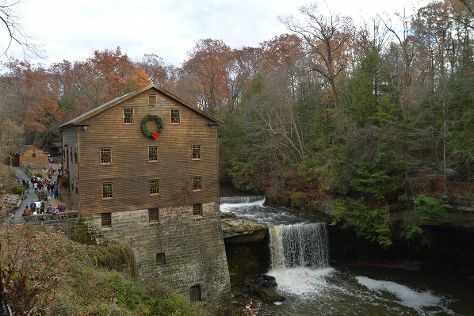 Your day-by-day itinerary now includes Cuyahoga Valley National Park. Change things up with a short trip to The Cleveland Museum of Art in Cleveland (about 1h 20 min away). On the 21st (Thu), hike the day away at Mill Creek Park. To find maps, ratings, more things to do, and tourist information, go to the Youngstown day trip planner. You can drive from Pittsburgh to Youngstown in 1.5 hours. In March in Youngstown, expect temperatures between 44°F during the day and 26°F at night. Wrap up your sightseeing by early afternoon on the 24th (Sun) to allow time for travel back home.